Although participation is free, seeds are available on a loan basis. The intention is that the borrower learns to save seeds properly and returns some at the end of the season. This is an honor system-based program that is meant to be self-perpetuating and community supported. It’s free and gives you access to thousands of books, movies, magazines, ebooks, and more! Fill out both pages (on gold paper). Your registration information will be kept private, but feel free to personalize your membership form. Read the descriptions of different seed-saving ability levels and rate yourself. Add the “Membership Form” to the membership binder on the counter by the seed cases. Turn in the “Registration Form” to the nearby Reference/Information Desk. You can choose up to five packets of seeds per season. Please choose seeds that match your seed-saving ability (not your gardening ability). 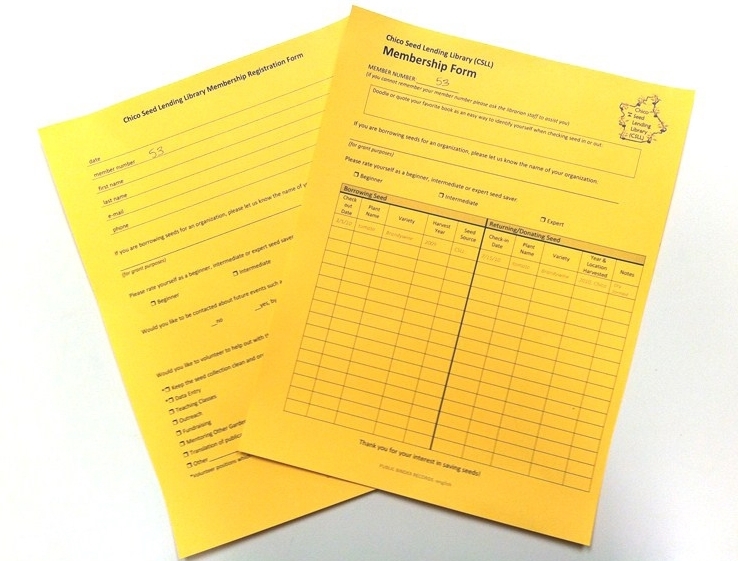 List the seeds you borrow on your membership form. Save seeds from healthy plants with the tastiest produce or most beautiful flowers. 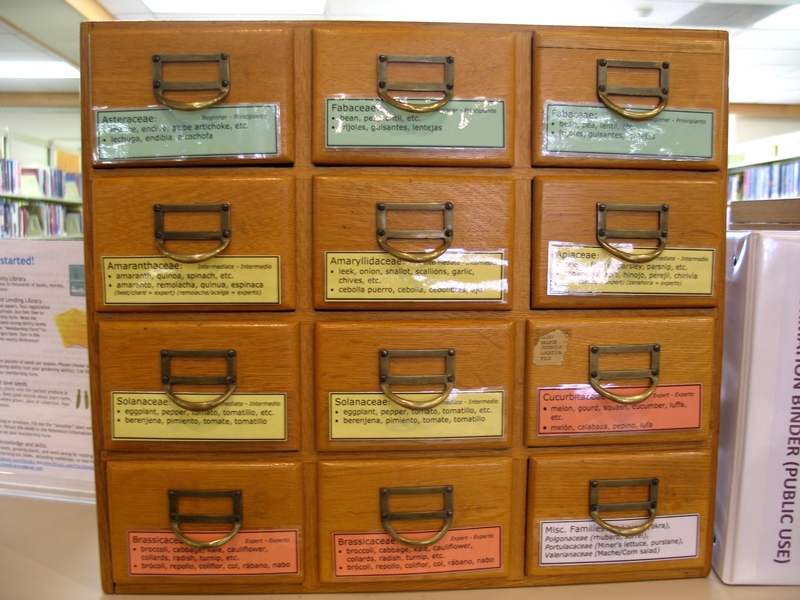 Keep good records about plant name, variety, neighborhood where grown, date of collection, how saved, and any other notes. Bring seeds back in a bag or envelope. Fill out the “donation” label with all requested information. Return the seeds to the Reference/Information Desk and mark the donation on your membership form. Find out more about seeds, growing plants, and seed-saving by reading the Information Binder, checking out books, attending workshops, or learning more online.